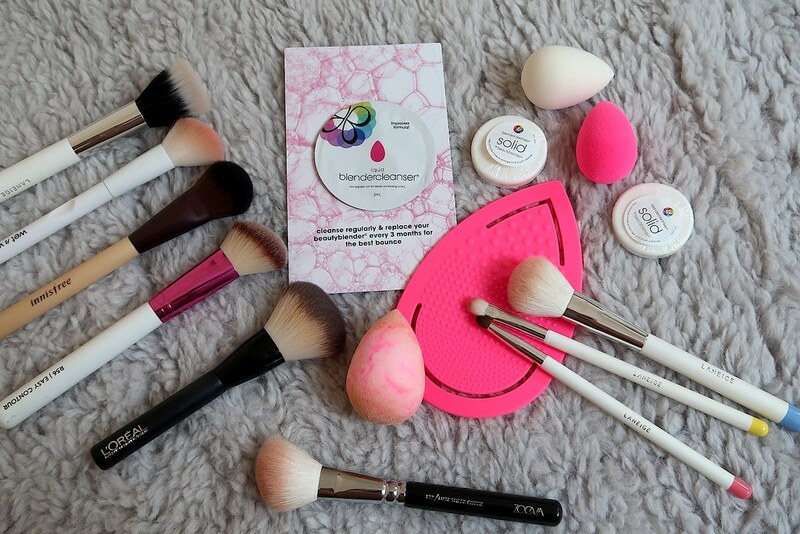 Mix of original pink and beautyblender pure! 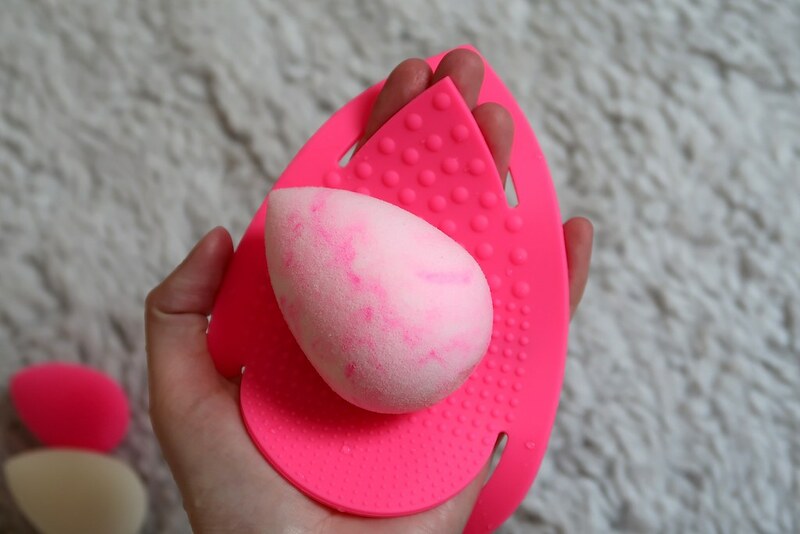 This pink marble blender works just like the original pink version – with an extra hint of prettiness! It is so easy to use and blends foundation like a dream! 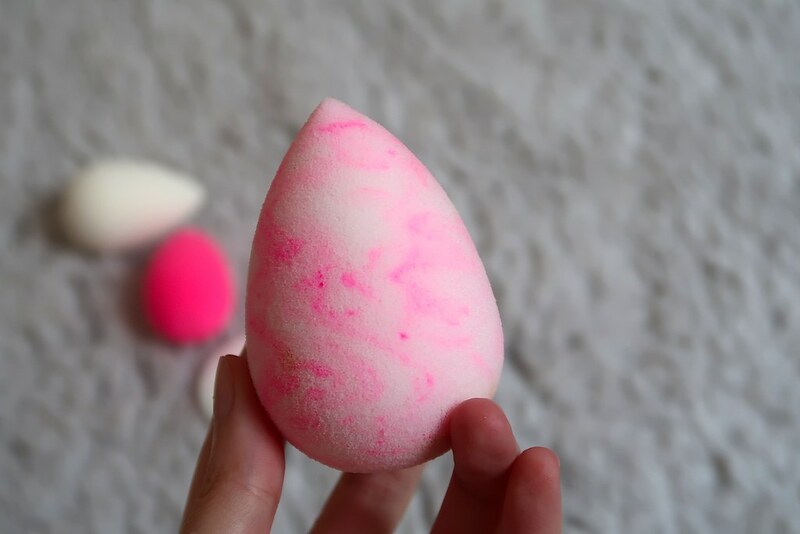 The beauty blender is so versatile. I can use it to blend my foundation, pack on loose powder to settle my foundation and even blend my cream contour! I like how the round tip enables me to easily blend foundation around my nose area. SWIRL retails for SGD32 at SaSa, Robinsons, BHG Bugis and Beauty Carousel. *Read review of Fenty Beauty Pro Filt’r Soft Matte Longwear Foundation here and Killwatt Freestyle Highlighter Duo here. 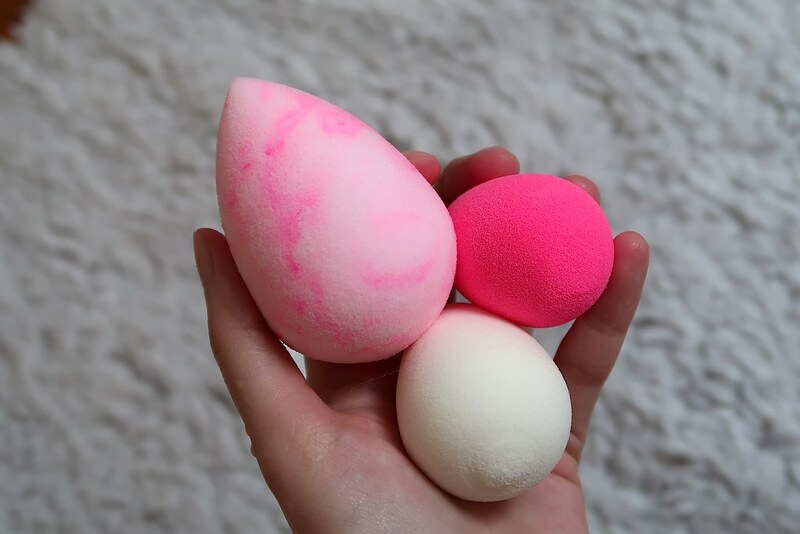 It is also very important to clean your beauty blenders (change every 3 months) and brushes to prevent break-outs on your skin. KEEP IT CLEAN is a travel friendly kit that consists of a mitt, mini blender cleanser solid and a liquid blender cleanser packette. The mitt is very soft and easy to use. It makes cleaning brushes so much easier and faster, as I can now clean multiple brushes together. It also saves on cleansing product and water usage. I like how I can slot my hands into the mitt, allowing a firmer grip. It also doesn’t absorb any of the dirt or water – easy to clean + dries quickly. 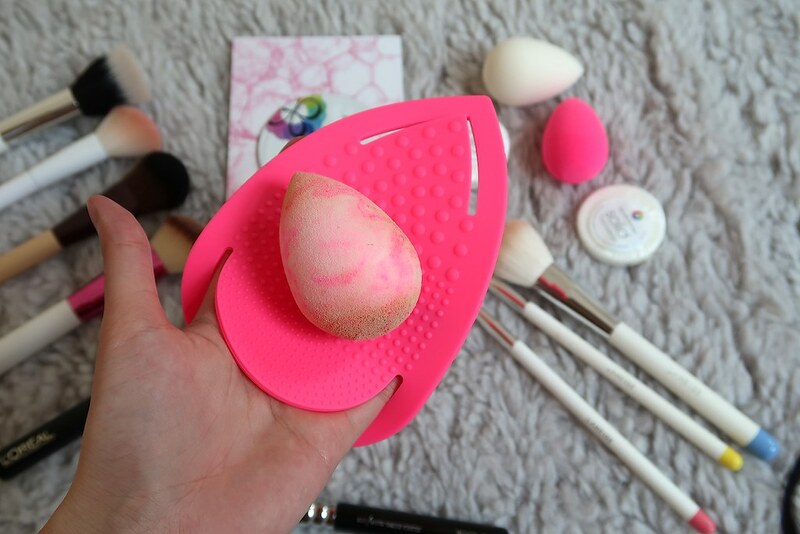 Overall, I am very happy to finally try both beauty blender and keep it clean mitt + blender cleanser! It makes my life so much easier. No wonder it’s so well-loved by many! Hope you find this review useful and let me know your thoughts once you’ve tried it!